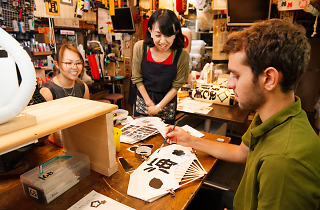 A stone's throw from the futuristic marvel that is the Tokyo Skytree, Atelier Sougeikan offers calligraphy lessons where you’ll get a chance to decorate an item of your choosing, such as a fan or a lantern, and take your creation home with you. 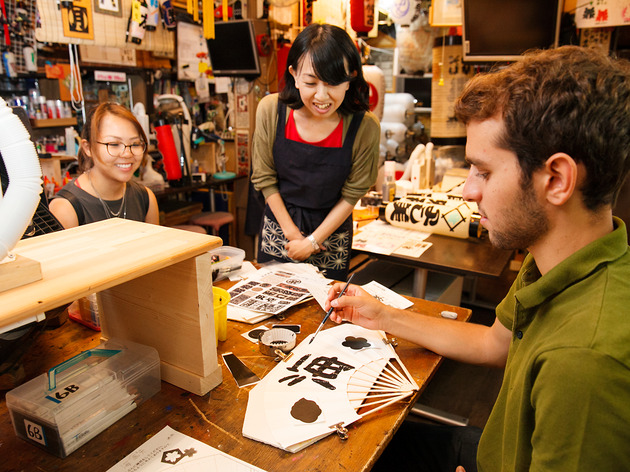 The lessons usually take around 1.5-2 hours and the cost per head is ¥3,900 if you're going solo, ¥3,400 for groups of two to three and ¥2,900 for groups of four or more. They also sell reasonably priced souvenirs – we love the lacquer-drawn Skytree poster (¥1,100). See more photos and details on our blog.